With the new year arriving, us Amazon sellers are going to be thinking about a big topic. Sales Tax. I know it’s not the most exciting thing to talk about, but it’s a necessary task and when it’s done right, you can save yourself some money along the way. 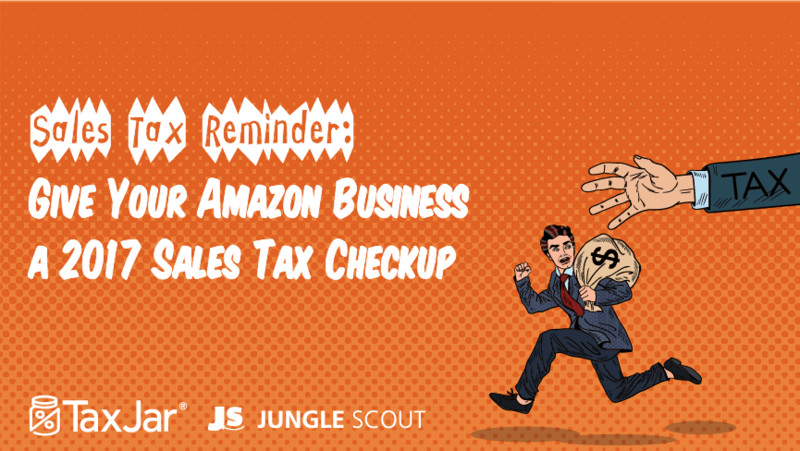 I’ve been catching up with the team at TaxJar, and CEO Mark Faggiano has a few tips for your 2017 sales tax checkup if you’re an Amazon.com FBA seller. Check it out! One business process that tends to bog ecommerce sellers down is sales tax. That’s where giving your sales tax processes a good once-over comes in. Read on to find out how to evaluate your sales tax activities now so you can get on with a happy and prosperous 2017! Why should you give yourself a sales tax checkup? Forty-five U.S. state and Washington D.C. all have a sales tax. Any retailer, including online sellers, is required to collect sales tax from buyers in states where they have nexus (more on that below). Retailers collect a percentage of sales tax on each taxable sale and then remit those funds to the state. States and local areas (such as cities, counties and other special taxing districts) use the money collected by retailers to pay for budget items like schools, transportation and public safety. Many U.S. states and localities make the majority of their revenue from sales tax, so they are very interested in making sure that retailers collect, file and remit sales tax! That said, you should never have to pay sales tax out of pocket! Sales tax is a “pass through tax,” meaning that you collect it from your customer and pass it on to the state. You should never spend your own profits to comply with state sales tax laws. Ready for your checkup? Let’s dig in. Ask yourself how much time you spent on sales tax last year? If you spent more than a few minutes per filing, you’re probably spending too much time on an administrative activity that doesn’t make your business a profit. Also, what nags at or concerns you every time you file a sales tax return? Are you afraid you aren’t filling out all of the cities, counties and districts correctly? Or afraid you aren’t collecting the right amount of sales tax from your customers in the first place? Maybe you sell on multiple channels and aren’t sure you’re collecting the right amount of sales tax on each. Before you can fix the problem, first know what it is! You can see what creates sales tax nexus in each state here. 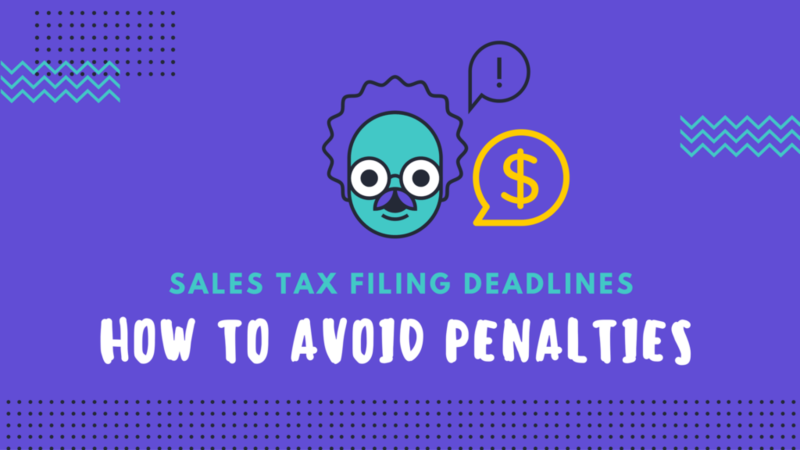 The first of the year is a good time to double check if your recent business activities may have caused you to have sales tax nexus in a new state. On the other hand, you may have stopped doing certain business activities that gave you sales tax nexus. If you find that you no longer have nexus in a state, you can cancel your sales tax permit in that state. When you do, just double check with the state to make sure they don’t have any “trailing nexus” provision that require you to collect sales tax for a few months to year after your nexus in the state has been abolished. Also, once you’ve cancelled your sales tax permit in a state, be sure you are no longer collecting sales tax from buyers in that state on any of the online shopping carts and marketplaces on which you sell. One of the biggest mistakes we see at TaxJar is online sellers forgetting to collect (or stop collecting) sales tax on one of their carts or marketplaces. You’re not the only person who will be completing a sales tax checkup at the beginning of the year. Many states do, too! And this may mean that they change your sales tax filing frequency. You were assigned a filing frequency when you first signed up for your sales tax permit. At that time, your state assigned you to pay sales tax either monthly, quarterly or annually. States generally assign you to file and pay sales tax more often if you are a high-volume seller. Around this time of year, some states will evaluate the amount of sales tax you are collecting and remitting over a period of time. Then they will change your filing frequency to either more or less often. Be on the lookout for a letter or other communication from your state’s department of revenue in case they change your filing frequency! Once you are sure of your sales tax filing frequency, you should the note your sales tax filing due dates. In the majority of states, sales tax is due on the 20th of the month after the filing period. For example, if you are a quarterly sales tax filer in the state of Georgia, your Q1 sales tax return would be on April 20th – the 20th day of the month after Q1 is over. Other states want to hear from you on different days. California’s sales tax filing due date isn’t until the last day of the month after the filing period. Florida’s sales tax filing is technically due on the first day of the month after the filing period ends. But you have until the 20th of the month before the filing is considered late. It’s important that you pay on time, because every state assesses penalties and interest for late filings. Plus, about half the states with a sales tax offer sales tax discounts (generally, a very small percentage of the amount of sales tax you collected) to businesses that file on time! There are a few reasons why you may be spending too much time on your sales tax returns. You may sell on multiple channels and have a hard time reconciling all of your sales. Or you may find yourself spending hours filling out your sales tax amounts collected within in each state, county, city and special taxing district. If this is too time consuming, you can use a sales tax automation solution to make your sales tax life simple. You can connect each of the online shopping carts and marketplaces you sell on. From there, you’ll receive a return-ready sales tax report with your sales broken down just the way your state wants to see them. You can even AutoFile your sales tax in most states, meaning you never need to look at your sales tax filings ever again. Sales tax is a necessary part of your business, but it doesn’t make you any money. If you’re spending too much time on sales tax, try automating it so you can get back to doing what you do best – running your business. Want to know more about sales tax? Check out our Sales Tax Guide for Amazon FBA Sellers. 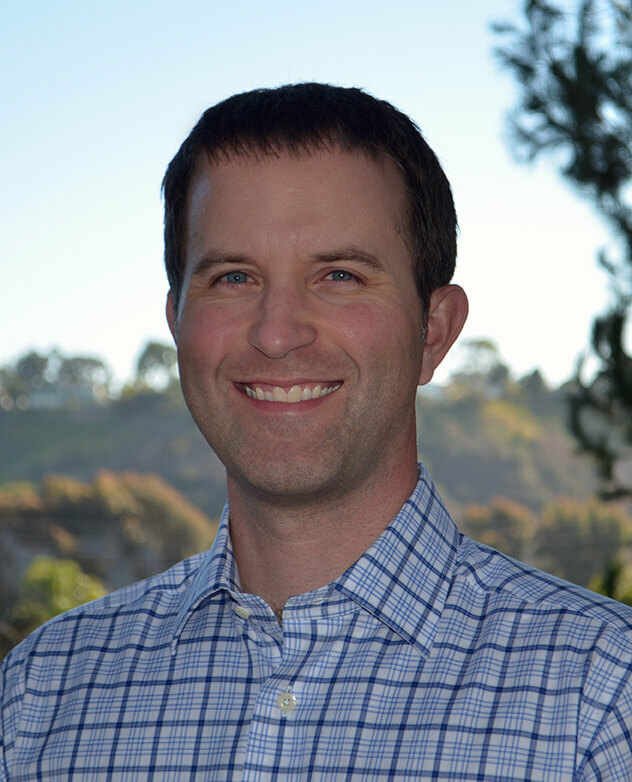 Mark Faggiano is the Founder and CEO of TaxJar, a service that makes sales tax reporting and filing simple for more than 5,000 online sellers. Try a 30-day-free trial of TaxJar today and eliminate sales tax compliance headaches from your life! Thank you very much for providing so much information! I’m living in Germany and am preparing my FBA biz at the moment. I want to sell in Europe and in the US. Therefore I’ve applied for an U.S. employer identification number, I know I’ll have to file form W8-BEN (Certificate of Foreign Status of Beneficial Owner for United States Tax Withholding and Reporting) – but I’m still VERY CONFUSED how to operate the U.S. sales tax issue from overseas w/out paying thousands of dollars for some accountant. My problem is the following: as I’ve got no U.S. residency I don’t know which sales tax rate to chose. In Germany we’ve usually got 19% VAT, in some cases like food, newspapers we’ve got 7% VAT. But you guys got different sales tax rates in almost every state, in different counties or even different cities. For me as a foreigner this is VERY irritating, ’cause I don’t want to break U.S. law – but I don’t know where to start nor which sales tax to choose, as I don’t know in which U.S. state my products will be stored by Amazon. Besides, some U.S. states charge sales tax based on the location where the sender got “nexus” (usually that state, where the products are stored at Amazon), other states charge sales tax based on the location of the receiver. You guys got so many clients and of course many from foreign countries: is there anybody around who can give me some really good advice HOW to handle that really weird sales tax system from a distance of at least 3,500 to 5,000 miles ?! Thanks for reading and taking the time to share your story and congrats on setting up your business. 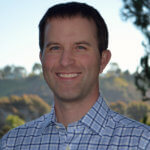 Greg shared some top level insights about getting set up to sell on Amazon U.S. which you might find useful. When it comes to financial advice and tax, we would always suggest speaking with a professional advisor.